Another Another scarce pirate publisher, little is known about this obscure company known as "Direct Photographs From Life / High Grade Stereoscopic Views." They did produce a notable series of the San Francisco Earthquake in 1906. 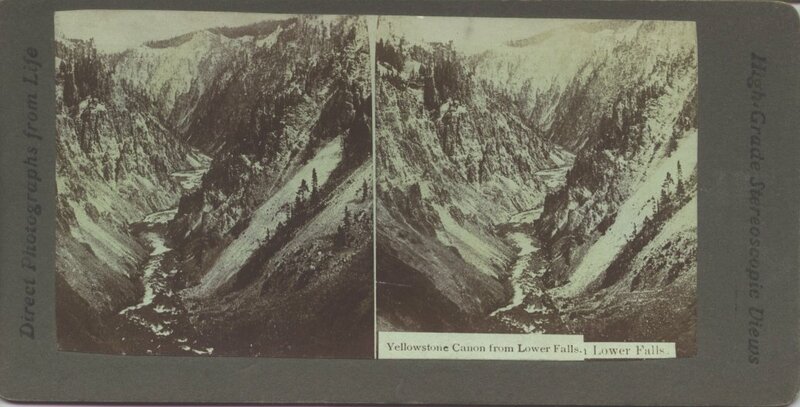 The photo shown below is their only known Yellowstone view and was probably produced at roughly the same time. Yellowstone Canon from Lower Falls. A rare view of the Grand Canyon of the Yellowstone.